1: To educate the community on the correct care and humane treatment of guinea pigs. 2: A commitment to raising awareness and working to change the stereotypical low valued view guinea pigs have endured. 3: To supply aid and sanctuary to ill, injured, neglected, pregnant and found guinea pigs. 4: To re-home guinea pigs appropriately through adoption procedures maintained by the operation of shelters managed by ACS volunteers and staff. 5: To take whatever steps are necessary within the law to improve the quality of life, value and respect of all guinea pigs and to be the voice for those that are trapped in situations of abuse and mistreatment. 6: To support and actively endorse all aspects of animal welfare. All ACS shelter members have had many years of hands-on experience working with guinea pigs and have a wealth of knowledge from general care to medical/health and genetics. We also are supported in conjunction by the help and advice of the best known small animal vets local to our shelters. As well as the rescue guinea pigs, shelter managers also have their own guinea pigs that they care for. 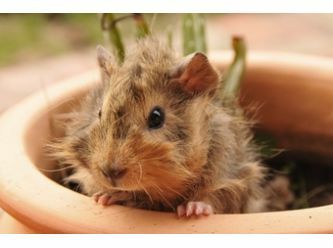 ACS does not support irresponsible breeding/selling and keeping of guinea pigs and in general we don't support the selling of live animals in pet shops. In saying this we are always more than willing to work constructively with any pet shop that is willing to work with us. ACS is always willing to offer advice, to offer ACS leaflets and small animal care information and we are willing to take on or help with any sick or unwell guinea pigs that a pet shop may receive, as the welfare of every guinea pig comes first and foremost no matter where they come from. ACS accept any ill, injured and found guinea pigs that people from the public may wish to surrender to the shelters. We accept ANONYMOUS PHONE CALLS from anyone that wishes to report a possible guinea pig mistreatment case. We will take steps to try to resolve the case ourselves first then can work with the RSPCA or DELWP in more serious circumstances where further action may need to be taken. Please feel free to contact us even if unsure if the case is serious enough as we are more than willing to check it out. We accept guinea pigs from interstate and pay for full transport costs to have them sent to an ACS shelter, if there is no REPUTABLE rescue located locally. ACS is a NO-KILL shelter, and euthanasia is only considered for critically ill and/or unnecessarily suffering guinea pigs. This is done humanely by our trusted exotics vet. We will NEVER have a guinea pig put to sleep without first offering them every chance for survival. We are dedicated to taking a stand for the quality of life, value and respect of all guinea pigs, and to be the voice for those that are unfortunately trapped in helpless situations of abuse and mistreatment. 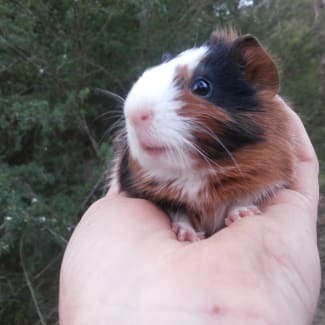 In modern society today guinea pigs are still very undervalued and can be viewed as " the cheap backyard disposable pet " or "child's play toy". It's time to take a bigger stand to try to change this - attitudes are changing, but the change will never come fast enough for the many gorgeous animals that still live in bad situations or are being used as a money-making "machine" by backyard breeders. We are committed to the ongoing challenge to change society's perception of these wonderful animals. Candy is one of 6 beautiful Peruvian ladies that arrived at the shelter after being part of a backyard breeding program at the hands of a teenager. These beautiful longhair piggies were all in lawn hutches with wire floors. These beautiful ladies must go to indoor homes only, and each must be accompanied by at least one of their current cagemates. We will work out who is bonded with who to ensure that no piggy is taken away from her BFF. Chuffnut Cavies (Australian Cavy Sanctuary Melbourne Shelter) is a guinea pig dedicated rescue shelter that services the entire Greater Melbourne region, and beyond! We have over 200 adoptable guinea pigs in the shelter. So many that all our time is taken to care for these lovely animals. Due to time constraints, we are over 2 years behind in posting new listings of our adoptables! So, please, consider adopting through Victoria's longest-running, most reputable guinea pig rescue shelter. 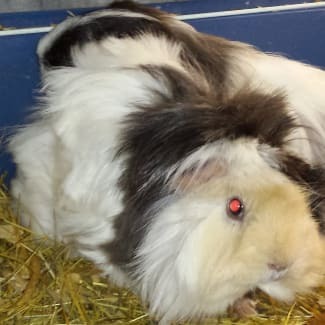 We have been rescuing guinea pigs in need, often from terrible backgrounds of neglect and abuse, rehabilitating then rehoming them for almost 10 years. Our team has a wealth of knowledge and experience in the care and welfare of these innocent and endearing animals. We have long hairs, short hairs, abyssians, rex, males, females, adults, bubs, aged piggies...we have the piggy to suit every home! Please consider adopting your next pet from Chuffnut. We offer a lifetime of help and advice to all adoptive homes, as well as a full return policy - if you are no longer able to keep your guinea pigs, we ask that they be returned to the shelter for a full adoption fee refund. We also have some desexed females and a male for adoption - their adoption fee is $50. We can also arrange desexing, at the expense of the adoptive family.